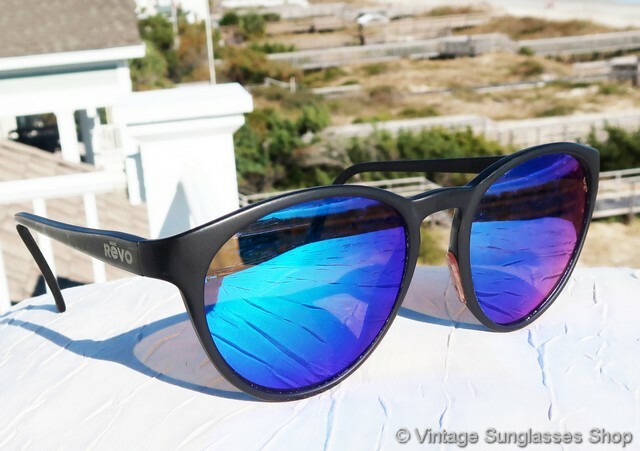 1 Vintage Revo 860 001 Spirit blue mirror sunglasses were one of the first styles Revo ever produced, with matte black composite frame and highly reflective Revo blue mirror lenses. 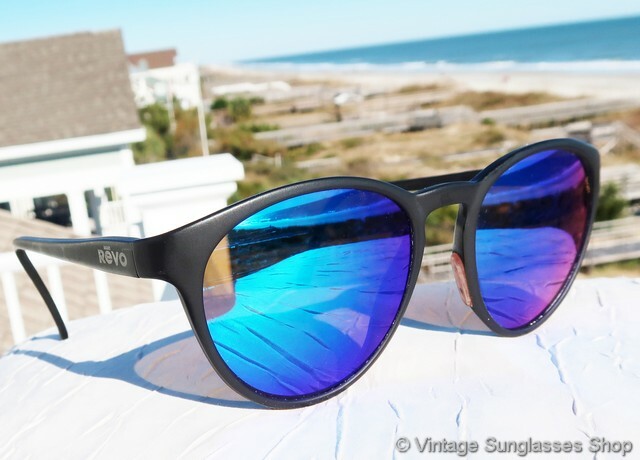 These lenses will pick up plenty of hues of red and purple out in the sunlight, one of the characteristics of Revo mirrored finishes and their technology which was pioneered in the NASA space program. The Revo logo is subtly embossed in gold on each ear stem hear the hinges, and the inside of one stem is marked 860/001 Frame France. Celluloid nose pads are flush mounted in the composite frame to provide a clean look while keeping the frame from sticking to your nose in extreme conditions. 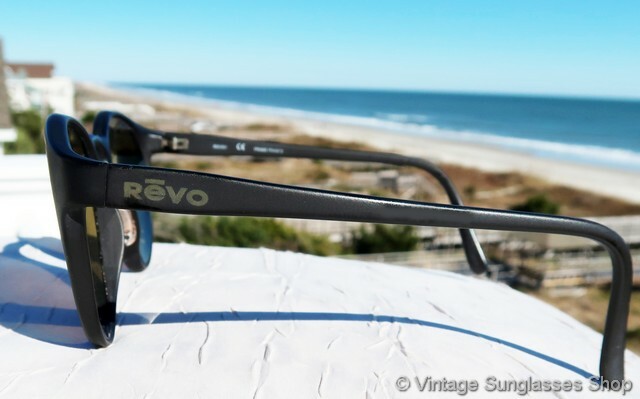 The Revo 860 Spirit frame measures approximately 5.5" temple to temple, and each Revo blue mirrored lens measures approximately 2.125" x 1.875" at the widest points. 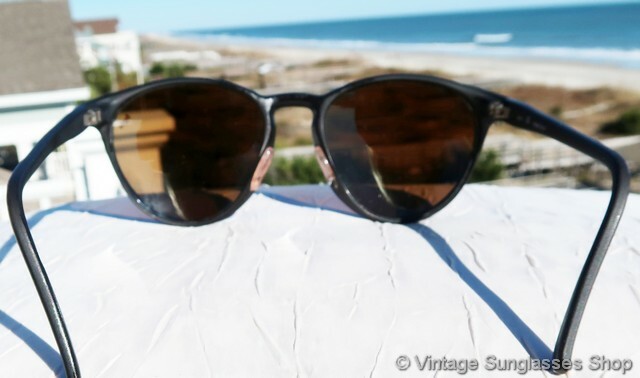 Great look that combines retro and modern, direct to you from a major antique and vintage sunglasses collection in Jacksonville, FL. 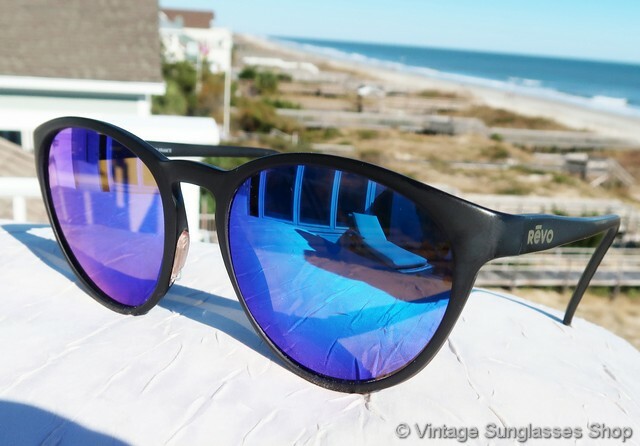 1A Step up another level beyond our already unequaled vintage condition standards with new old stock Revo 860 001 Spirit blue mirror sunglasses in mint, unworn condition. 1B SPECIAL DISCOUNT OPPORTUNITY! Sometimes when a great frame comes in as part of a lot but falls just short of our unparalleled vintage condition standards, we'll use it as an opportunity to offer our customers a rare vintage frame at a bargain price. 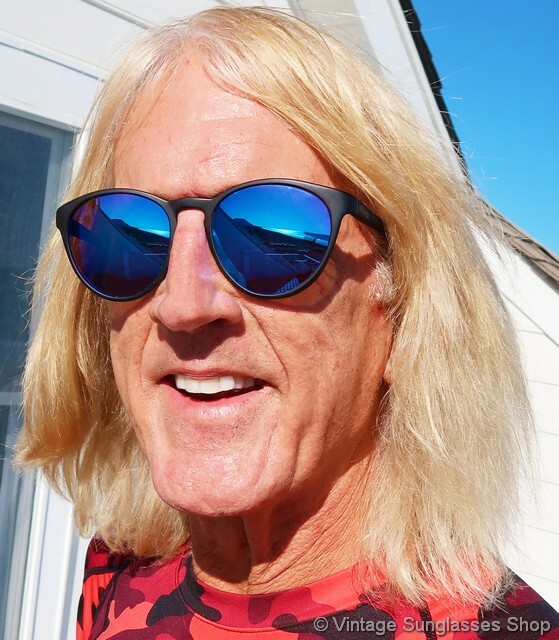 That's the case with these Revo 860 001 blue mirror sunglasses, but it's a great frame that's very hard to find. 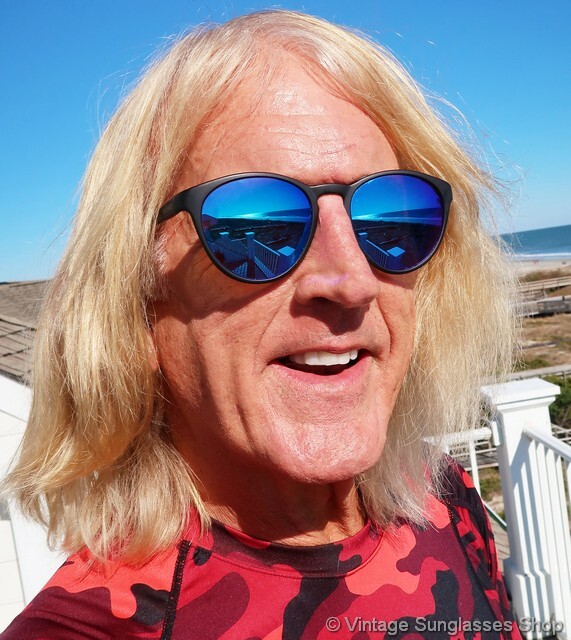 If you're more tolerant of light lens scratches that fade away out in the sunlight you can wear them as is, or you can replace the lenses with the glass or polycarbonate lenses of your choice at your local optical shop. 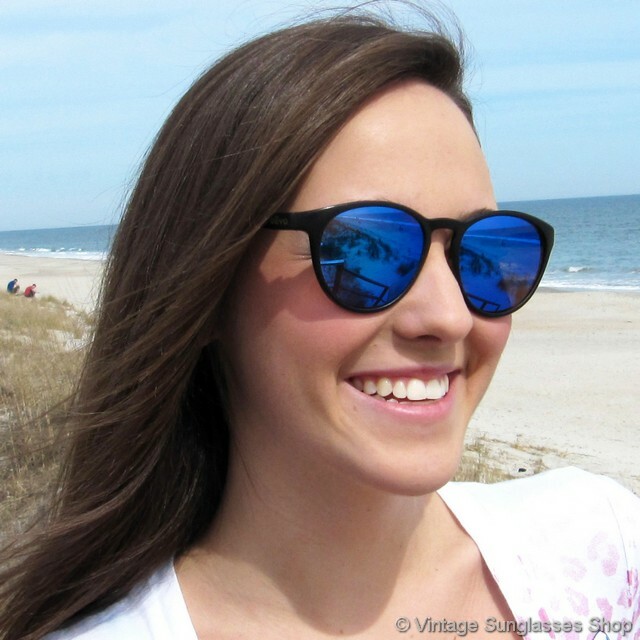 2 Vintage Revo 860 001 Spirit blue mirror H20 sunglasses are identical in appearance to #1 above, but these feature Revo blue mirror H20 polarized lenses. 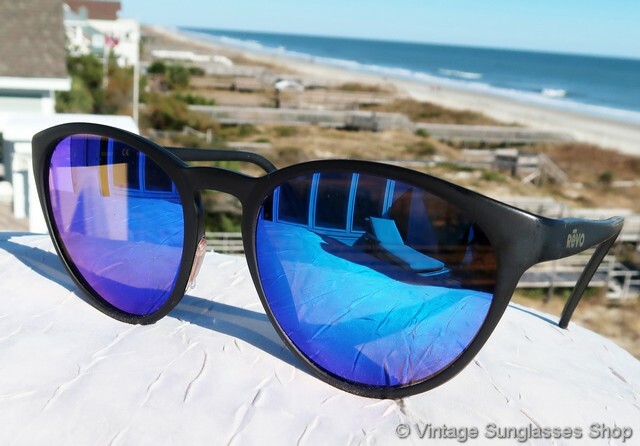 Frame and lenses are identical in appearance except for the addition of the laser etched H20 on the left lens. 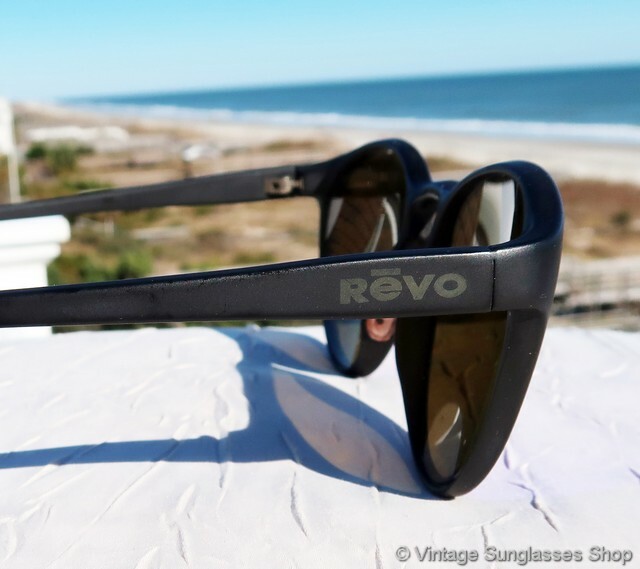 You may or may not want polarization with a Revo mirrored lens - read about the tradeoffs here. 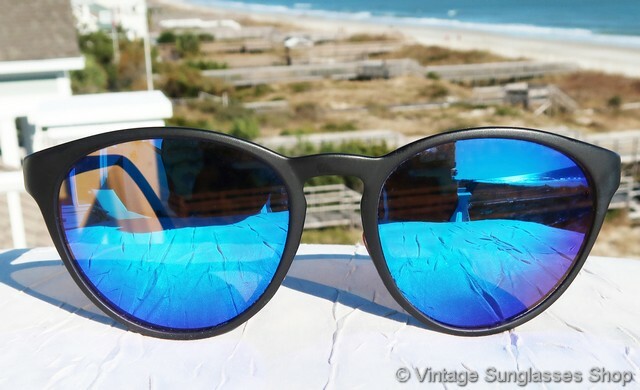 2A Step up another level beyond our already unequaled vintage condition standards with new old stock Revo 860 001 Spirit blue mirror H20 sunglasses in mint, unworn condition.